Grime artist, Giggs, does not seem to be fond of the pair and their pompous attitude, he has sparked up a feud after making allegations of Krept and Konan being ‘frauds’, and accused them of ‘glory hunting’. 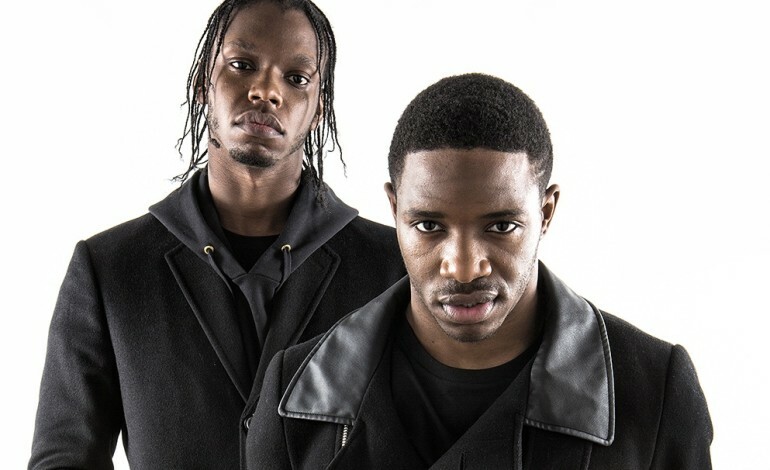 The quarrel began after Krept made an Instagram post about DigDat’s Air Force Remix (featuring Krept & Konan) reaching Top 20 in the UK singles chart. The words that seemed to have upset Giggs were, “1-0 to the culture @bouncerplaydirty proud of you my bro. 10 years ago Gipset days man would never of saw this coming.” The pair seemed to have related the success of the track and of drill music in general back to themselves and their workload. Giggs is seen as a godfather to grime and drill music, therefore, Krept’s remark was sure to hurt his ego. The comment by the ‘Whippin Excursion’ rapper was shortly removed. 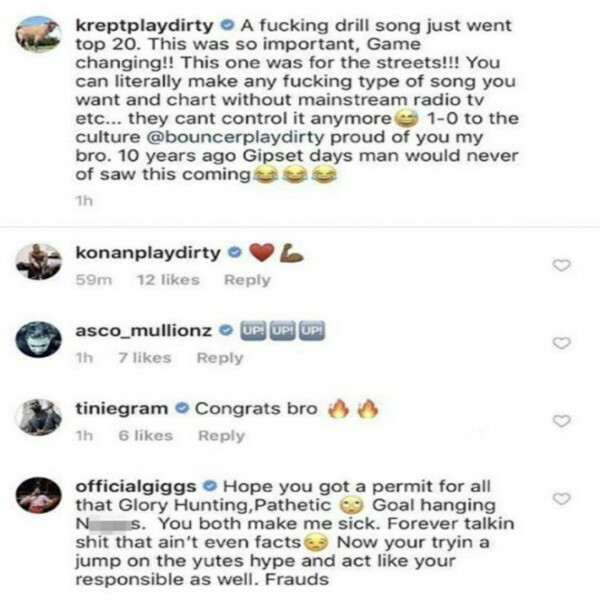 However, it is unclear whether the rapper regretted what he said and deleted the comment himself or whether Krept was too embarrassed and decided to take it down. Anxiety builds as we await the duo’s response to what Giggs had to say.